Are you interested in taking a closer look at the Gorilla Frontier Playset? If so, then make sure to check out our brief review which will outline all the key points and features that you need to be aware off before you buy. 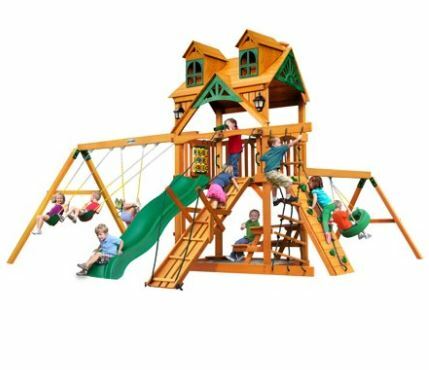 This review will focus on the Gorilla Playsets Frontier Treehouse Wooden Swing Set with 2 alternatives outlined at the end of this page that are somewhat similar yet slightly different and therefore come with different price tags. Our Gorilla Frontier Playset review will also outline some frequently asked questions that will be of interest to you plus all the main pros and cons that you should be aware of. Several images are also provided below along with some price comparison options that you should check out also before you make your final decision. Please note that guide prices can only be shown at the time of this Gorilla Frontier Playset review as prices can change from month to month or week to week depending on local discount activities so please make sure to view the price checkers provided below to ensure you have the most up to date accurate price information. Q. What children age group is it suitable for? Q. 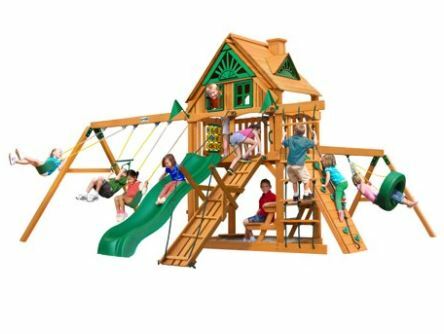 What are the assembled dimensions for this Playset? Q. 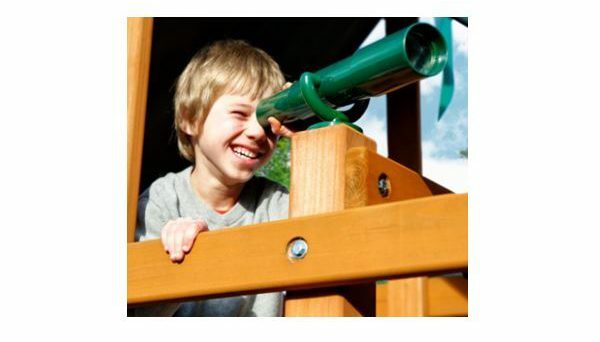 What is the weight capacity for this Playset? Q. How long will it take to assemble this particular Frontier Playset? A. It will depend on your level of experience, tools available and available help – a guide is 8 to 12 hours work to complete. 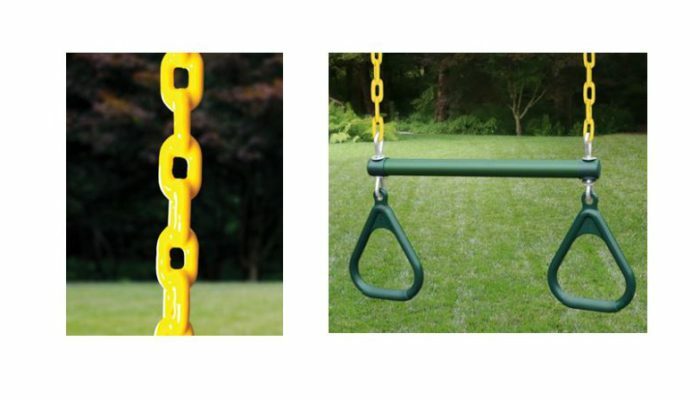 It includes 2 Belt swings and a fun Trapeze bar and there is the soft rubber grippy plastic coating on the swing chains. Separate rock wall climber and the deluxe rope ladder for the energetic climbers and of course the Alpine wave slide. Upper play deck is protected by a tongue & groove wood roof and the kids get a rock wall with a climbing rope. Kids will thoroughly enjoy the upper deck Treehouse with real working shutters and comes with 2 Belt Swings, a Trapeze Swing, a built-in picnic table and a built-in sandbox with corner seats. Again, all the cedar wood is already pre-cut, pre-sanded, pre-stained and ready to assemble in your own yard. You have the safe knowledge that you kids are safe at home in your own backyard in a secure place. Instead of a Vinyl canopy, the upper deck is protected with a tongue and groove wood roof against the weather elements and provides shade. 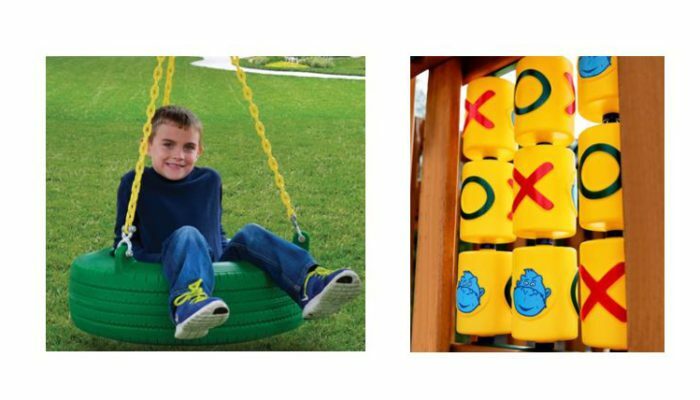 Additional toddler swing seats or other configurations can be added to give further flexibility. Underneath, there is a spacious sandbox with corner seats and a great selection of accessories is available which include the telescope, steering wheel and the tic tac toe panel. 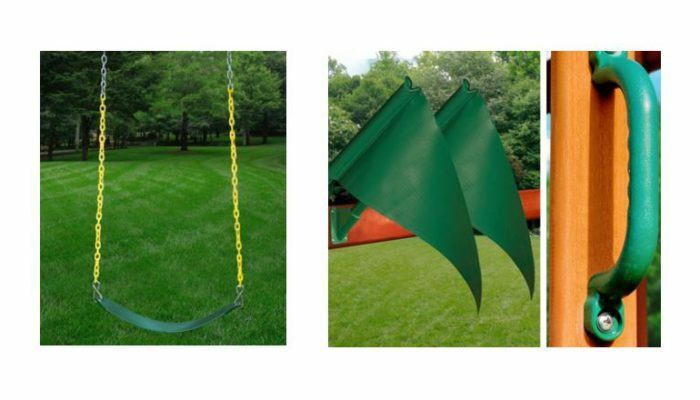 There is no air glider included or a passenger swing where 2 kids can swing together. No radical tube slide is available which is seen on the more expensive models. Assembly requires a lot of time (8 to 12 hours) and hard work, attention to detail and ideally a team to help you. Various tools are required to get the assembly job done – otherwise it will take a lot longer to complete. Needs to be regularly maintained and treated over time from one season to the next – do not leave untreated as you need to follow the maintenance programme. 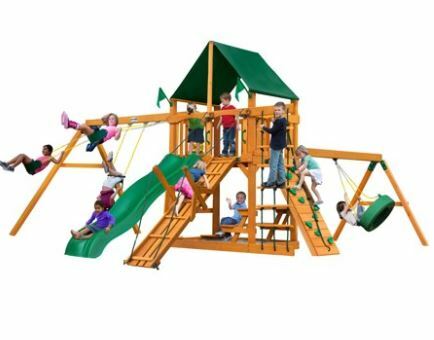 Have you or your kids any personal experience with the Gorilla Frontier Playset or Swing Set in the past? If so, then please share your thoughts and feedback with the wider community by leaving a comment in the comment section below – So that they can learn also!!! 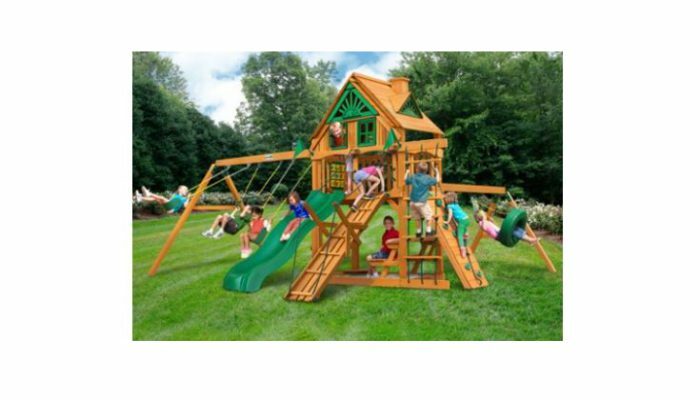 Posted in Swing Set Reviews and tagged Gorilla Frontier, Gorilla Frontier Playset, Gorilla Frontier Playset review, Gorilla Frontier Playsets, Gorilla Frontier Swing Set, Gorilla Frontier Swing set review.